Talc, Propolis Cera, Alcohol, Aqua (water), Rosmarinus officinalis (Rosemary) leaf oil, Benzyl alcohol, Benzyl benzoate, Benzyl cinnamate, Benzyl salicylate, Cinnamyl alcohol. For your skin: apply a generous amount on the affected area and massage gently into your skin, then let take effect. 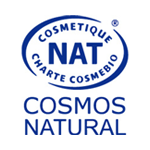 Also recommended for areas sensitive to chafing and irritation where the skin is strained. Can also be used on baby’s bottom: apply on dry, healthy skin. For hygiene: apply generously to your feet and inside your shoes to keep them clean and to prevent unpleasant odours. This product is not a medicine: in case of irritation, consult your paediatric doctor. Keep away from the infant’s nose and mouth. External use only. 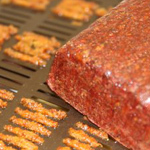 Despite its apparent simplicity, this product is one of the most advanced in our product line. 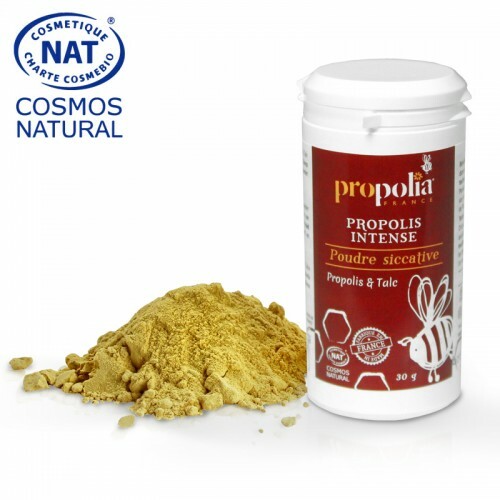 Thanks to the unique processing method used by Propolia®, this Propolis is extremely fine. This format makes it a multi-use product par excellence. For irritated skin and damaged skin repair: sprinkle and let the Propolis soothe and help your skin repair itself. The panel of mothers who tested the product were unanimous: they all agreed that this powder did wonders for their baby's bottom!